These are 9 traits you or your partner will show. In fact, HUNDREDS of people have downloaded this checklist and used been able to identify their blocks so they can get the relationships they want. How you can deeply desire intimacy but want to push people away at the same time. The #1 thing an avoider is afraid of, and how to beat it. The next best step to overcome your fear of intimacy. Almost there! Just enter your info below to gain instant access. 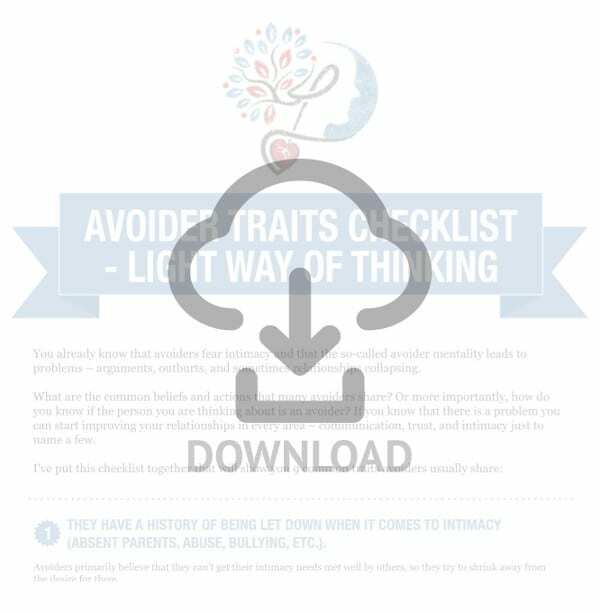 Enter your first name and e-mail to get instant access to the Avoider Traits Checklist.